This week, I came across an article about that guy – Julien Blanc – who teaches men how to be sexual predators. It scared the mess outta me. I’m talking terrified. Not because I think that one of those men is going to be messing with me. No. It scared me because I have a daughter. I’ve written about how tough I think it is to raise a daughter before, and unfortunately, it’s not getting any easier. I have a laundry list of things I want my daughter to be. It does not include doctor, lawyer, CEO, president, or even famous humanitarian. The list does include, however, things like loves Jesus, is happy in her profession, does kind things for others, and knows that she’s beautiful in the eyes of the Father who created her. You see, I want her to know her worth in her Creator. Everyone else’s opinions matter not. She is called perfect and beautiful by the One who created her as such. She doesn’t need any certain clothes, tons of makeup, and the approval of a boyfriend or best friend to make it so. Her unique qualities and abilities are gifts. It’s Hubby’s and my job to raise her to know that. In a world of plastic surgery, eating disorders, cyber bullying and domestic violence, I want to raise a woman confident in herself because she knows who she is. There’s only one starting point – the Gospel. I can’t do everything. I can’t force her to internalize every single characteristic and ideal I might nudge her way. But I can teach her the Truth. I can tell her about God and his amazing sacrificial love. I can model the Father’s love for us by loving her with unconditional love. I can provide opportunities for other like-minded souls to help reinforce these bits of Truth in her life. I can help her understand that knowing Jesus is the best and only thing she can do to truly know her worth and potential. I can start now – at two and a half years old. My little girl is beautiful and smart. She’s as witty as a two year old can be, and already a ham for the camera. 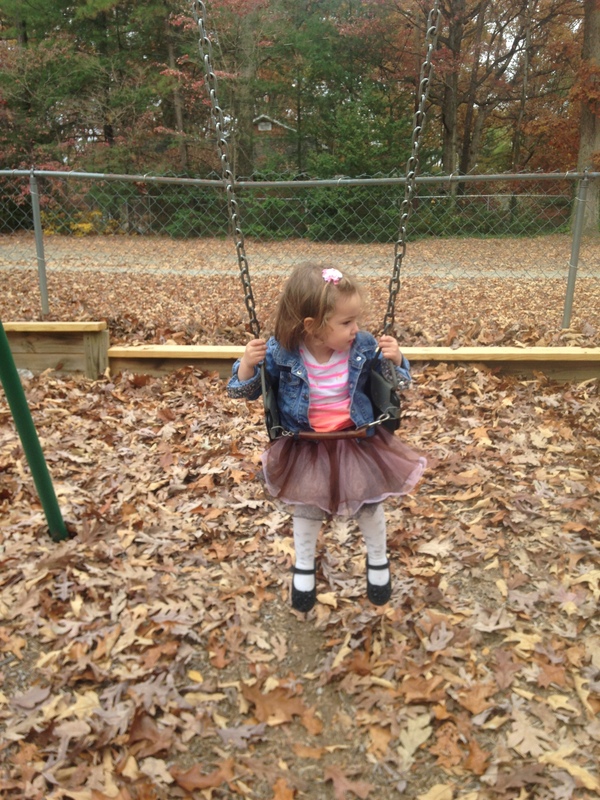 For real y’all – she basically only wears tutus (see above photo) and won’t leave the house without her fanciest shoes. I just want to make sure she knows she’s awesome and doesn’t need anyone’s approval for that piece of information to be true. She just needs to know Who created her, how He feels about her, and where He wants her to go. It’s like the cheesy song goes: she’s gonna do great things; I already know.